Since it’s used informally, ne is usually dropped, leaving c’est pas de la tarte. Travailler à plein-temps et chercher un diplôme à la fois, c’est pas de la tarte ! Working full-time and seeking a degree at the same time, it’s tough! Être de garde pendant 72 heures chaque semaine, c’est pas de la tarte ! Being on call for 72 hours every week isn’t easy! It’s interesting to compare c’est pas de la tarte to the English expression “it’s a piece of cake,” which at first glance seems like an almost perfect equivalent, the only real difference being the type of dessert. 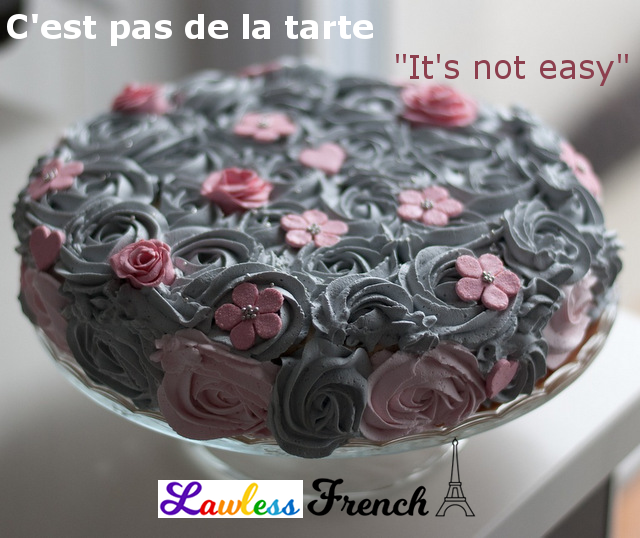 However, the French expression is rarely used in the affirmative (c’est de la tarte, which would mean "it’s easy"), while the English is never negative ("it’s not a piece of cake," which would be equivalent to ce n’est pas facile). Despite the similar desserts, the French is usually negative and the English is always positive, which makes these expressions antonyms. 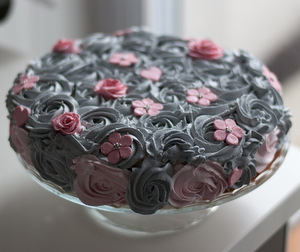 In fact, French does have a truly equivalent expression to “it’s a piece of cake”: c’est du gâteau.